The world has not been the same after this kid has introduced his interesting Atlanta flavor to the entertainment industry. 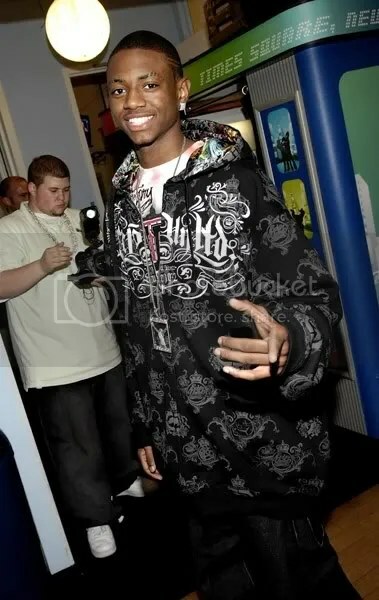 Soulja Boy is simple doing his thing.His album dropped on Tuesday Oct, 2, 2007.Big Shout to my boy Drew Report for the Photo ! Soulja boy is due to release his new video for is song …. 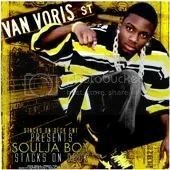 “Crank Dat Soulja Boy.” This song has over 2 million hit on Myspace and more the 20,000 videos on Youtube.com of various renditions of the dance. Big ups to the boy Soulja Boy… We don’t think Soulja Boy is trying to be the king of Hip Hop , but at 16, the young man has created a phenomenon across racial lines. You even have the prissy, sadity, sultry BEYONCE doing the CRANK DAT SOULJA BOY. Check Youtube.com-search Beyonce does Soulja Boy! You are currently browsing the archives for the Soulja Boy category.